Set on the banks of the St. Mary River, just 16 kilometres (10 mi) north of Cranbrook, this Mission Revival building was constructed in 1910 and operated for 60 years as a residential school for aboriginal children. In 2002, the St. Eugene Resort was transformed into a modern full-service, destination golf resort. Today, the St. Eugene Resort offers 125 deluxe guestrooms, highlighting the heritage and culture of the original Mission building. Four different guestroom types are offered; each beautifully appointed, spacious and bright. Premiere Garden Room - Located within the Lodge building and featuring garden and courtyard views. King bed, two queen-sized beds or two double beds. Some balconies. Connecting rooms available. Deluxe Mission Room - Unique rooms in the restored historic Mission building featuring original brickwork, vaulted ceilings and hand-hewn timbers. Chief Isadore Suite - This is St. Eugene's signature suite. Located in the historic Mission building, it features a comfortable sitting room, fireplace, bedroom with jacuzzi tub as well as all the standard amenities. KOA Campground - Located on the grounds of the resort, spacious RV sites (114); amenities include electric hookups, Aqam Trading Convenience Store, luxury unisex washrooms, each handcrafted with distinct accent tiling, playground, pull throughs, showers and tenting. The Resort features informal fine dining at the Smokehouse Dining Room, tapas in the Smokehouse Lounge, Fred's Saloon and 19th Hole Bar & Grill (in season), 4,000 sq. feet of meeting room space and a Scotch & Billiards room, an outdoor heated pool & hot tub, sauna and health club. Further amenities include air-conditioning, internet and pets are welcome. 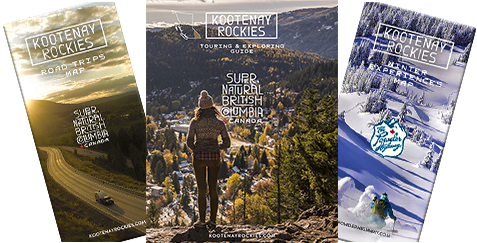 Enjoy the local activities, such as golfing the championship 18-hole St. Eugene Golf Course, skiing or snowboarding at the Kimberley Alpine Resort (15 minutes away) or visit one of the many attractions nearby such as the Cranbrook History Centre or Fort Steele Heritage Town. Also on-site is the Casino of the Rockies, featuring a 19,000 square foot casino with over 200 slot machines and all of your favourite table games including Poker. The heritage St. Eugene Resort. Many amenities are offered including a heated outdoor pool and world-class golf course. The pavillion is available for large gatherings.